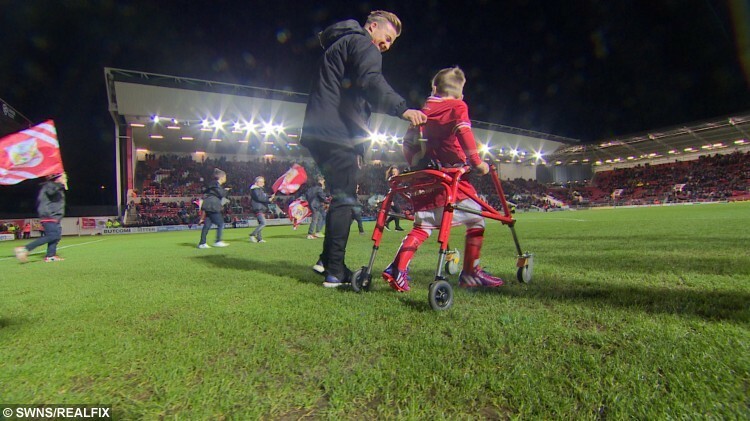 This is the heartwarming moment a young cerebral palsy sufferer took his first steps in front of 15,000 football fans – who helped fund a £50,000 operation to enable him to walk. 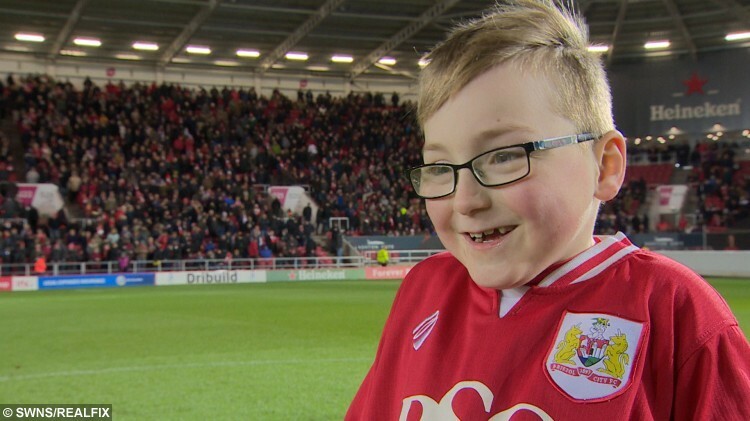 Oskar Pycroft, seven, united fans from two rival clubs in his home city of Bristol with an appeal to pay for the procedure to strengthen muscles in his legs. 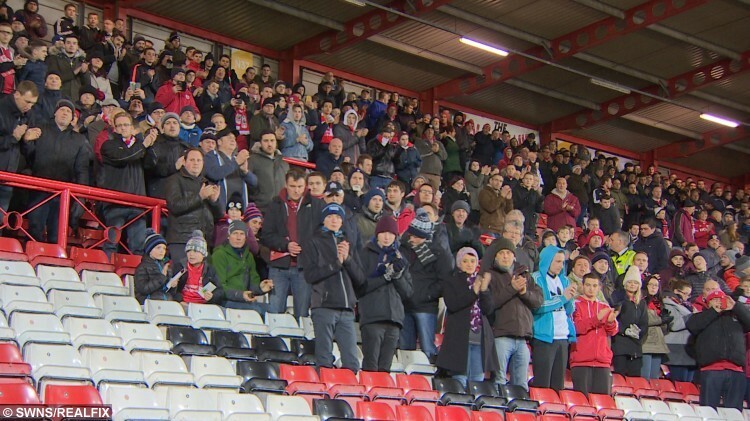 Fans from Bristol City and Bristol Rovers put aside their differences to raise £57,000 in a variety of charity events. 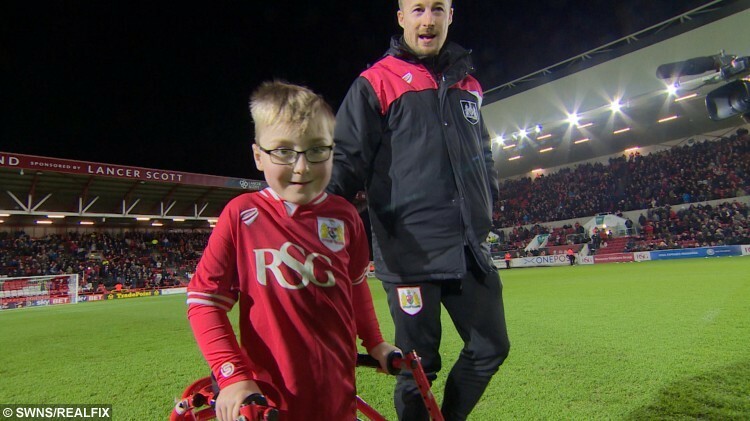 After undergoing surgery at Bristol Children’s Hospital he vowed to walk onto the pitch at his beloved City’s ground when he had recovered enough strength. 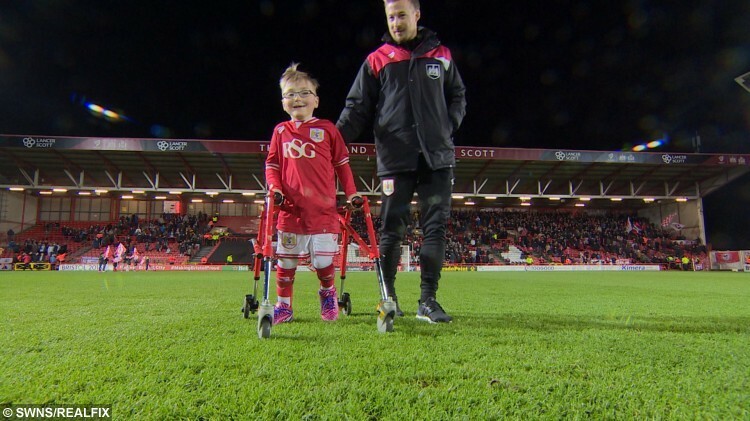 And on Tuesday night, at 7.30pm, fans cheered him on as he took his first steps onto the pitch at Ashton Gate as City hosted Preston in the Championship. The delight was clear to see when his dream came true. 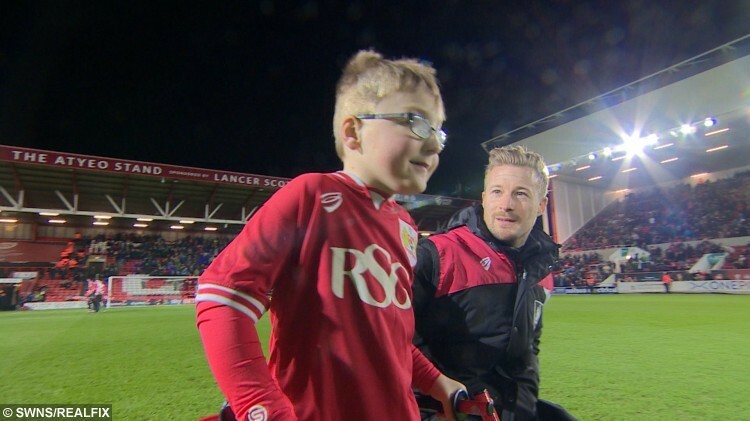 Dressed in the club’s red and white strip and wearing football boots he was given for Christmas, Oskar led Bristol City onto the turf. Supporters from both teams in the packed stadium gave the determined youngster a standing ovation as he stepped onto the ground. Despite the home side losing the match to their Championship rivals 2-1, Oskar came away with a smile on his face. His mum, Elizabeth Pycroft, 35, from Whitchurch, Bristol, said: “I’m so proud of him – he’s done really well. She added that he’s a lot more comfortable in his body since having the operation. He still relies on a wheelchair or some form of aid to assist him with longer walks, but the surgery has had a huge impact on his life. “He’s in a lot less pain,” Elizabeth said. “He may still be in pain some days but at least it’s not every day. Oskar has been wheelchair-bound since he was a toddler and needed selective dorsal rhizotomy (SDR) surgery to reduce the spasticity in his legs. When he was six-years-old doctors decided he didn’t meet the strict NHS criteria and his family was told they would have to go private instead. Last season, he led players out in his wheelchair but in May 2014, the Darren Wright Foundation began fundraising for a £50,000 operation to help him fulfil his true dream. They set up a JustGiving page and almost 1,000 football fans, family members and friends made donations. The charity also organised events and arranged collections at both Bristol City and Bristol Rovers matches, raising thousands. Just a year after the appeal began, Oskar’s family was presented with a cheque for £57,347.62 – enough to cover the medical bill and change the little boy’s life. Scott Wright, from the Darren Wright Foundation, said presenting Oskar’s family with the cheque for his operation was “special”. He said: “His improvement is a testament to his bravery. “Whilst Oskar’s fundraising may have ended, our relationship with him has not as we are pleased to announce that he has kindly agreed to be our very first child ambassador.